Lawn Weeds may seem like purposeless annoyances, but the appearance of many weed species can give you important information about the state of your lawn and how you can make it healthier. 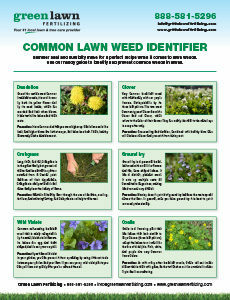 Consult the following list of weeds to learn what messages your weed-infested lawn may have for you. Knotweed and plantain thrive in compacted soil. Compacted soil is soil whose granules are tightly pressed together, creating a dense and low-oxygen environment for plants to grow in. When soil is compacted, plants like grass have trouble sending roots out into it, water can’t drain through it properly, and organisms like worms are kept from recycling nutrients within it. Overall, it is very bad for plants. 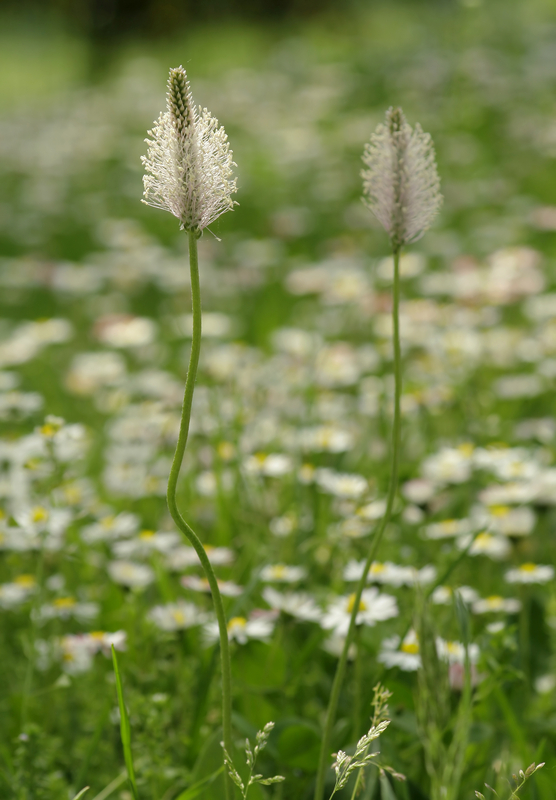 If you have knotweed or plantain, your lawn is trying to tell you to aerate the soil. Aeration, or the process of evenly and thoroughly pulling small plugs of soil out of your lawn, loosens the soil and replenishes its oxygen supply, which encourages the even and healthy growth of grass while driving weeds away. Clover and crabgrass are two weed types that indicate weak soil. Weak soil is soil that is low in the nutrients plants such as grass require to grow healthy and strong. Treating weak soil is simple—all your lawn needs is some nutrient-rich fertilizer to improve its grass-growing capabilities. 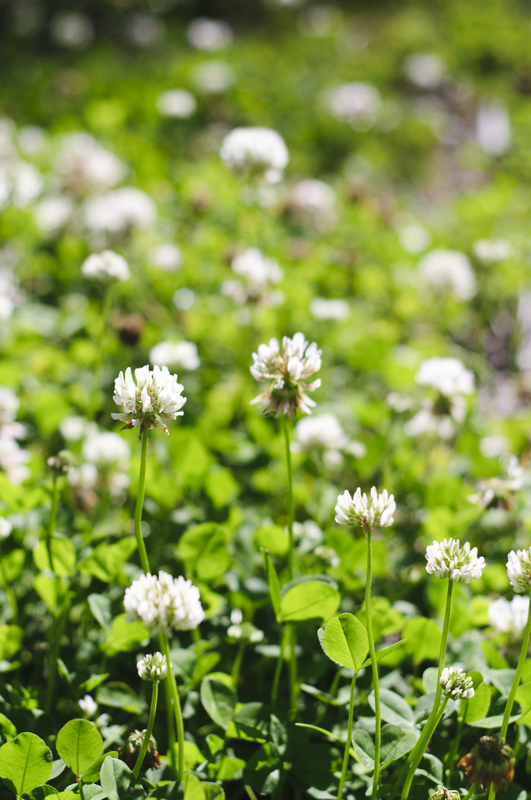 Clover is fortunately easy to spot with its large flowers, while crabgrass blends in better, spreads faster and is harder to pull out. If you have either weed but especially if you have crab grass, you may want to contact a lawn care professional to both fertilize your soil and eliminate the weeds before they take over your lawn. Purslane wants to tell you that your lawn is a very happy lawn, full of rich, healthy soil—the only problem is that there are weeds in it. 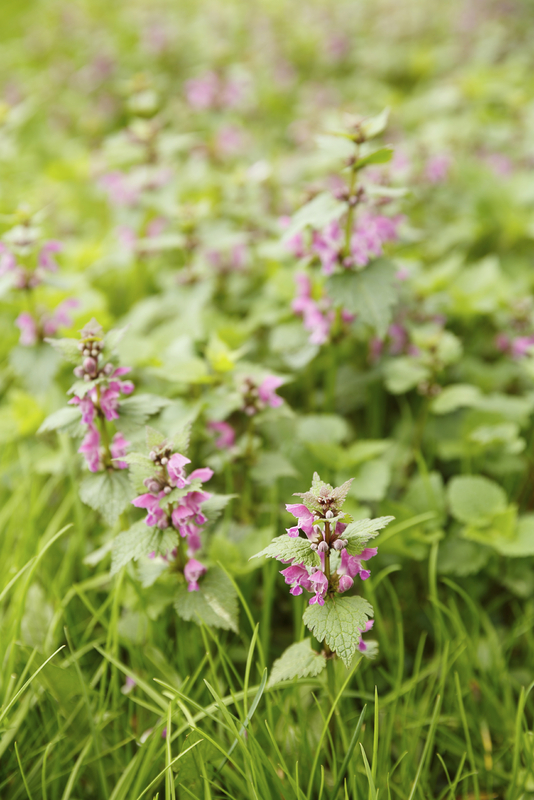 Henbit is similar, showing that your soil is rich in nutrients, but tends to show up on weaker, sparser areas of the lawn that are likely sparse due to compaction. If you find purslane and henbit, you may want to aerate to the barer areas henbit is growing in. In addition, you should remove the purslane in particular as soon as possible, as it grows quickly in good soil and can choke out grass in no time. Once you have decoded the messages your weeds have for you, give the local lawn care professionals at Green Lawn a call for a wide variety of lawn optimization services.